Egyptian Foreign Minister Mohammed Amr visited the French capital in early April. Egyptian news agencies reported that Amr was received by both his French counterpart, Laurent Fabius, and French President François Hollande. That allowed both Amr and the controlled media to extol the “close relations” and “strategic cooperation” between Cairo and Paris. However, anyone who has been closely following the evolving situation in the region cannot help but notice a recent shift in emphasis between Egypt and France. It particularly affects issues where France’s interests conflict directly with the chief “sponsor” of the Arab uprisings, including the one in Egypt — Qatar. - Second, for “domestic consumption” (to retain its position of power within the country by strengthening its diplomatic activities). Egypt was, by tradition, key to France’s Middle East policy, which had come to play a bigger role since the time of President Nicolas Sarkozy, who had stated his determination to embark on a qualitatively new relationship with the countries of the European Union’s “Southern Partnership.” For that, Sarkozy employed both personal ties and his favorite but nonetheless broken foreign policy “toy” — the Union for the Mediterranean. Several reasons for France’s desire to play a leading role in the region are immediately evident. First of all, there was the significant increase in the role of Middle Eastern energy resources as part of the global energy system in the early part of the 21st century. In addition, the United States lost some of its dominance in the Middle East due to several foreign policy blunders by Washington. 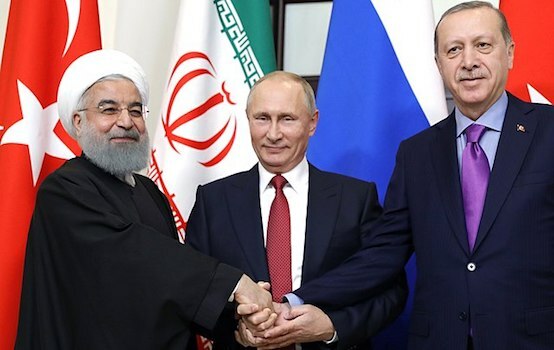 That energized the United States’ chief rivals in the Middle East (a number of American Middle East experts refer to it as a campaign to “lure Arab countries away from the American camp”). 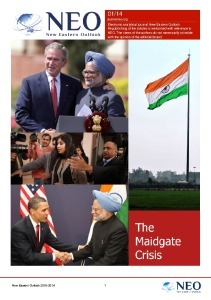 Of course, there is also the inability of the region’s countries to manage their own political, economic and humanitarian space and develop a stable system of foreign relations (like that of the European Union), and that is transforming the Greater Middle East into a “geopolitical testing ground” for resolving clashes among the main global political actors. - The threat of a massive emigration of Egyptian citizens to European countries given the demographic boom now taking place in that country (Egypt’s population grew by 25 million between 1995 and March 2013 — from 60 million to 85 million; on average, its population grew by about 1.3 million each year during that period), and unsuccessful attempts by the Egyptian government to reduce the rate of population growth and its inability to meet their minimum needs. And all would be well if France and Qatar — the chief “miners” of the transformations currently happening in the Greater Middle East — had not begun squabbling. In fact, Paris and Doha currently are almost in open conflict. It happened first in Libya, where Qatar, which by the middle of last year could barely restrain its irritation at Paris’s activities in Africa, backs Libyan tribal leaders in oil-rich Cyrenaica. The deaths in Libya of two directors of private French security companies, the so-called “French debt” that was first voiced last year by the most talkative of Gadhafi’s sons — Seif al-Islam — and the acrimonious remarks about French leaders in Al Jazeera news reports provided clear confirmation of that. In addition, the outlines of several restless Arab monarchies in the Persian Gulf have been visible in recent years behind the Islamist groups that challenged Paris in Mali (Al-Qaeda in the Islamic Maghreb, the Salafist Movement for Unity and Jihad in West Africa, and Ansar al-Din). Analysis of the leadership of Ansar al-Din (Defender of the Faith) reveals a very interesting picture. “Sheikh” Iyad Ag Ghali, its founder and current ideological leader and military commander, became imbued with the ideas of Salafism and radical Islam while serving as Mali’s envoy to Saudi Arabia (which actually resulted in his recall home). The organization’s number two man, Alghabass Ag Intallah, one of the most famous men in Northern Mali, has links to Doha. It is generally thought that he is on good terms with Qatari emirs and controls injections of cash from Qatar to Ansar-al-Din. On the whole, it is quite obvious that what we see in the Mali theater of war is actually an outgrowth of the conflict between France and Qatar. It has frequently happened in the history of the world that former allies began dividing up the spoils after achieving the desired result. If the chief actors in the fight against the “authoritarian regimes” of the Greater Middle East fail to agree soon on spheres of influence in North Africa, the situation in Western Sudan will deteriorate and the conflict will spread to neighboring countries. 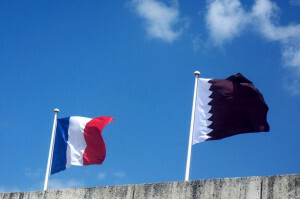 And that means both Paris and Doha will try everything they can to win the region’s “key” countries over to their side. On the other hand, countries like Egypt have an additional option for pursuing the balancing act that has become their favorite ploy since Mubarak’s time. On the one hand, therefore, we will apparently hear Egyptian President Mohammed Mursi pleasing his Qatari sponsors from the banks of the Nile by saying that Cairo will not welcome France’s direct military intervention in the military conflict in Mali. And on the other, Egyptian Foreign Minister Amr will offer rhetoric about the “strategic cooperation” between Egypt and France. Let’s just hope Cairo can avoid getting carried away by its balancing act once more and outsmart itself again.